← Fashion Friday :: Stitch Fix Review #8, opinions please? Knock, knock! Who’s there? MORE YARN! I’m being pretty particular these days, trying very hard not to add to my stockpiles of yarn unless absolutely necessary. Right now “necessary” mostly means I need it in order to make a gift. But every now and then, after lots and lots of thought and planning, I will spring for something very special for a particular project. 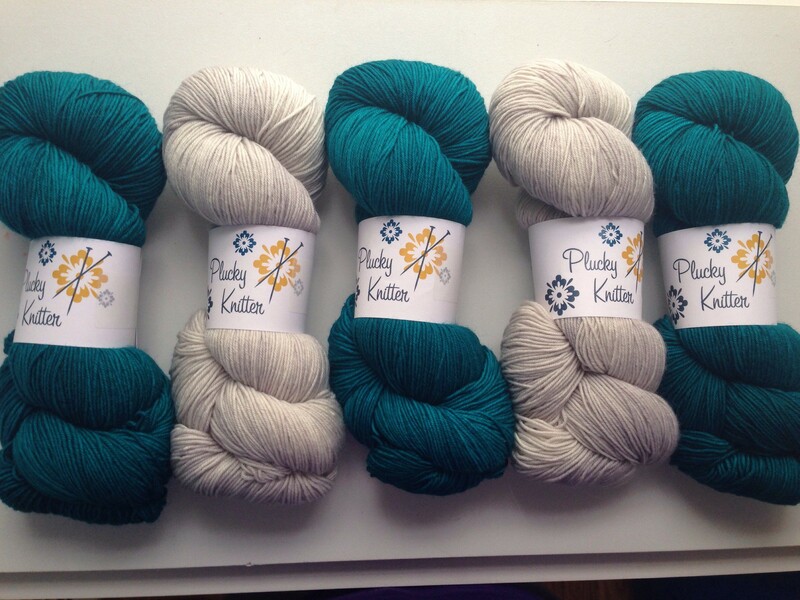 For the scheduled January update of The Plucky Knitter, I gave a few days of thought, figured out what I wanted and for what purposes, and when the update went live, I snagged it. It arrived last week, and it’s even more stunning than I’d imagined. My iPhone can’t remotely capture the luminescence of this yarn. The teal is the most stunning possible shade, with gorgeous depth and shine. The pale grey is absolute perfection. 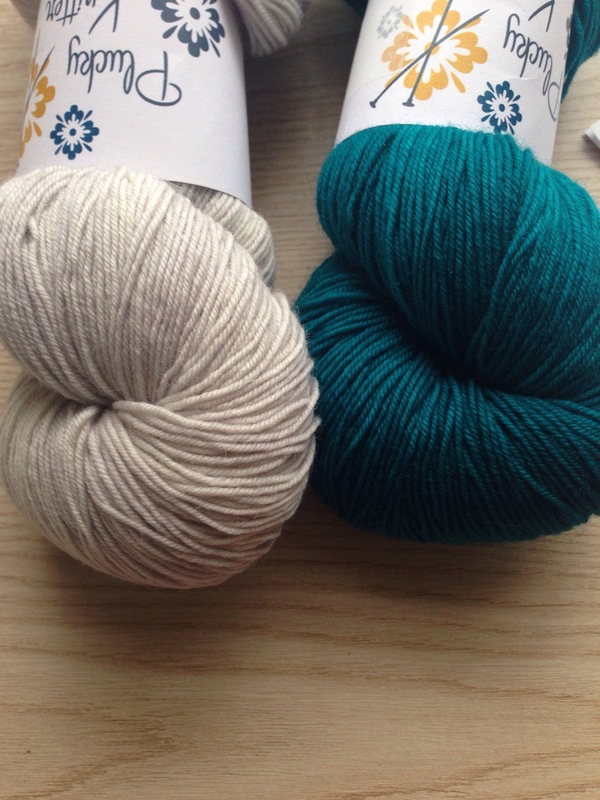 The yarn is slated for a Kyllene. It will be a long while before I can get started on it, but I’ve got the perfect yarn for when I do. Wow!!! That yarn is so perfect for that sweater!!! It will be fun to watch your progress on it..make sure to post pix!!! I’ll definitely post pics!! Wish I could cast on right away, but I’m making myself wait until I get some other things done first. See how responsible I am? !